With the advent of latest tools and techniques, the SEO strategies for your website stipulate an all around change in the recent years. The best SEO Company will never lag behind in applying the modern methods to boost up your ranking in the search engine results. Some people think that SEO is some kind of magical trick performed only by the experts or the gurus who are aware of the secrets of the search engine. But if you know the right method of optimizing your website, you can easily run a [tp lang=”en” only=”y”]successful SEO[/tp][tp not_in=”en”]successful SEO[/tp] campaign. Here are some beneficial tips and tricks for you. Keyword research should be the first step when you are starting a SEO campaign. You need to play with your keywords properly and understand the psychology of your target market. Now how can it be possible? Ponder on Low Competition And High Volume: Always look out for the keywords which possess low competition as well as high volume. Your task can become difficult as your competitors are also performing the same research in the campaign. Insert Long Tail Keywords: As the searches have changed its mode from shorter keywords to longer ones, you need to change your keywords. It is advisable to use long-tail keywords with 3-4 words so that the search volume can increase keeping the competition low. Competitive Analysis: You need to analyze your competitors to stay in the market for a long term. Thus, you need to check regularly which keywords your competitors are using for their campaign. 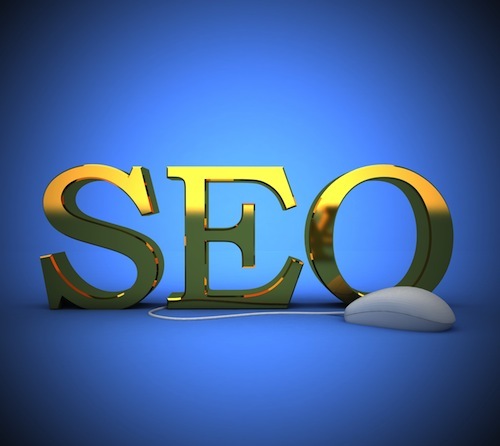 You need to convey the right message to the crawlers of the search engines so that they can rank you properly. The content (including codes and texts) of your website needs to be decoded well by them. So, you need to be technically correct by checking few things. Structure of URL: You need to keep your URL within the limit of 100 characters without any special characters. You can use dashes as a replacement for underscores as a healthy SEO practice. Titles: The length strength of the unique title can be 65-75 characters. The keywords must be inserted in the beginning of the title. Data Structure: With the structured data, special markup can be inserted in your content. You can also add rich snippet to get highlighted in the search engine result pages. You can search for various schemas and apply them in your product pages or in your articles. Right Sitemap: You need to create the sitemap properly and then submit it to the webmaster tools of Google. Whenever you edit or add any new content, your sitemap needs to be updated so that the change in your website gets crawled by the search engines. You may increase the usability of your website through various methods. Proper Navigation: An easy navigation will ensure more and more visitors to your site. Thus this accessibility will help in boosting up your ranking. Quality Content: Unique and quality content in your page will pick up your rank definitely. Except the blogs, your content should be limited within 800 words in a single page. Link building will always remain as one of the essential factors to perk up your rank. Guest Blogging: The unique and high quality guest blogs can ensure you with positive results. Broken Link Building: You can search for broken links and can inform the webmasters of those sites. You can offer them an opportunity to replace the broken links with a link to your website. You may also optimize your site through the social media channels by setting up your goals and connecting to the right target market. Guest article written by: Jack Peterson is a well known SEO specialist who is working for the past 10 years and improving the rank for different sites. Here, in this article he is sharing some of his valuable opinions on how to boost up your website ranking easily. One thing should be kept in mind that google wants it’s users to get what they want. Deliver content and you will rank better than anything without any SEO. But SEO is required for optimizing the site what you said is correct. I have read your article that your article is very good, useful and people really need to know about SEO specially on On-Page. This is very good article about On-Page, I will use it ahead.